On this blog, I advocate for a one-two combo approach to solving hair loss. The first punch is often the most neglected, but probably the most important: you have to give your body the building blocks it needs to make skin and hair tissues. We should get these building blocks through food. But our modern diets are poor, nutrition deprived, and don’t provide the amount of micronutrients, and nutrient-dense foods our bodies need to rebuild. This is why it’s essential to include a biotin supplement and a collagen supplement – to make up for what we’re not getting in our food. These nutrients help our body heal from the inside out. Treating our hair loss causes internally, with supplements and nutrition, goes hand-in-hand with the second punch: external treatments we apply directly to the scalp. Elsewhere on this blog, I’ve reviewed and recommended many good external treatments including Rogaine, essential oils and herbs based treatments, and caffeine-based and argan-based shampoos. For a permanent, comprehensive solution to hair loss: you will need to do both. 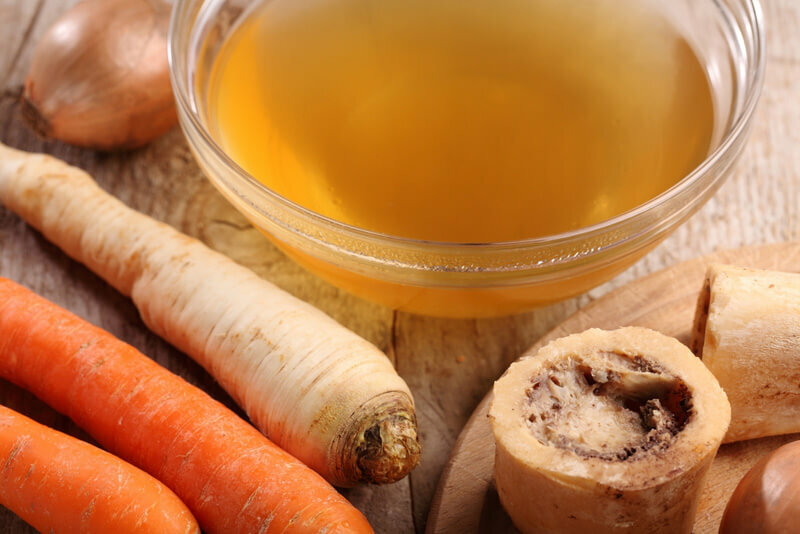 Now that you have some background, we’ll dive into more detail on what bone broth and hydrolyzed collagen are, and why they need to be on your radar. For all the kitchen nerds, bone broth is basically stock. Beef stock, chicken stock – you get the point. And what is stock? Stock is a soup base made from roasted and boiled bones that extracts all the nutrients and benefits from the bones, into a liquid form we can consume. If you’ve ever eaten soup, you’ve had stock. Why are people calling it bone broth? Bone broth is soup stock on steroids. The bones (chicken, beef, or pork usually) are roasted first, to improve the flavor. But then, unlike normal stock, bone broths are simmered for a very long period of time (often for 8 hours, and sometimes more than 24 hours), with the purpose being not only to produce gelatin from collagen-rich joints but also to release a trace minerals from bones. At the end of cooking, the bones themselves should crumble when pressed lightly between your fingers – proof that all the goodness has been cooked out of the bones, into the liquid. If you’ve ever eaten had delicious Vietnamese beef noodle soup, Pho, that’s an example of just how good bone broth can get. It’s slow-cooked and has amazing depth of flavor. Bone broth is trending hard these days, because people are realizing and experiencing the health benefits of collagen and gelatin, two things lacking in out fast food culture and lack of nose-to-tail eating. In NYC, land of food trends in action, there’s even a bone broth take-out joint! Bone broth is a premium source of gelatin, which supports skin health and digestive health, and helps heal leaky gut syndrome. For some women, leaky gut syndrome may be the root cause of hair loss and inflammation in the body: hair growth recovery follows gut recovery. Bone broths are high in other key proteins and minerals. Glycine supports the body’s detoxification process and is used during the synthesis of hemoglobin. Glycine also supports digestion and the secretion of gastric acids. Proline, especially when combined with vitamin C, supports skin health. What is the Bone Broth Diet? People on the Bone Broth Diet drink a quart of this stuff a day, usually throughout the day. For those who have trouble drinking enough water, the bone broth diet is a positive side-effect – you WILL get your liquids with an extra quart to drink a day. Bone broth enthusiasts generally make the broth at home, with bones they buy from the grocery store, either in a stock pot or a slow cooker. Drink broth before or with every meal. Instead of bringing your thermos of coffee to work, you’ll bring a thermos of soup! Or two thermoses! Bone broth is cheap to make. Bones are about $2/lb. from most butchers, and you’ll need a few pounds for a recipe. You can also use the chicken carcass leftover from dinner, or the bones from your steak or lamb leg or pork shoulder. Try to get grass-fed animals, in all cases. Vegetables are usually $1-$3 for onion, garlic, carrot celery – whatever you like in soup bases. And the rest of the recipe is free: water and time. You should use a crockpot or a big soup stock pot. Crockpots are honestly easiest – set it and forget it. If you don’t have a slow cooker already, I recommend the more “analog” crockpots to the digital models, because they usually include stoneware, unlike the digital ones which generally have metal insides. Stoneware conveys heat more evenly than metal. New, they’re usually around $20-$30, but you can also usually find crockpots on the cheap at thrift stores and yard sales (or your mom’s kitchen). One of our reader, Kim, has shared her ingenious and extremely cost-effective method for making bone broth. Her family saves bones from various meat-based meals until there’s enough to make it in the crockpot, then stores the broth in Chinese soup containers and freezes the remainder. Hahah, ok I hear you. Plenty of people don’t have time to cook, or simply don’t want to fuss with bones. Don’t worried, you’re covered! There are several good prepared bone broths, made from grass-fed hormone-free animals, on the market. My favorite is this genius concept – bone broth PODS for the Keurig-style coffeepot! They’re lightweight, and there for you at the office, when it’s time for your dose of bone broth! Bone broth tastes like soup. You can season it however you like, with whatever herbs and spices you prefer. It’s a blank slate: make it yours! Are There Any Side Effects to Bone Broth? For bone broth, you will have increased urination, since you’re consuming more liquids. And you’ll need to modify your salt intake in the rest of your diet, if you are salting the broth to make it more drinkable. But other than that, nope. People have been eating soup and making complex stocks from all parts of the animal for thousands of years. It’s safe. And make no bones about it (bah, sorry): the bone broth diet is NOT for vegetarians. Vegetable stock is delicious and healthy but doesn’t have the same benefits; the good stuff comes FROM the animal bones. Collagen makes up 1/3 the protein in our bodies. It’s a major structural protein giving strength and support to all of our body tissues, including skin, bone, tendons, ligaments, cartilage, muscles and blood vessels. Hydrolyzed collagen is a powder supplement made directly from animal bones. The bones are crushed and processed and sterilized, and the collagen from the bones is broken down into small amino acids. These amino acids “fill in the blanks” in our bodies, and go anywhere we need them in our tissue regeneration – think of them as a one-size-fits-all protein. Improve hair and nail strength. Hydrolyzed Collagen has existed in a slightly different (but related) form as gelatin, the basis for jello for over 100 years. It is safe, odorless, and tasteless. Unlike gelatin, hydrolyzed collagen will not thicken liquids when added. 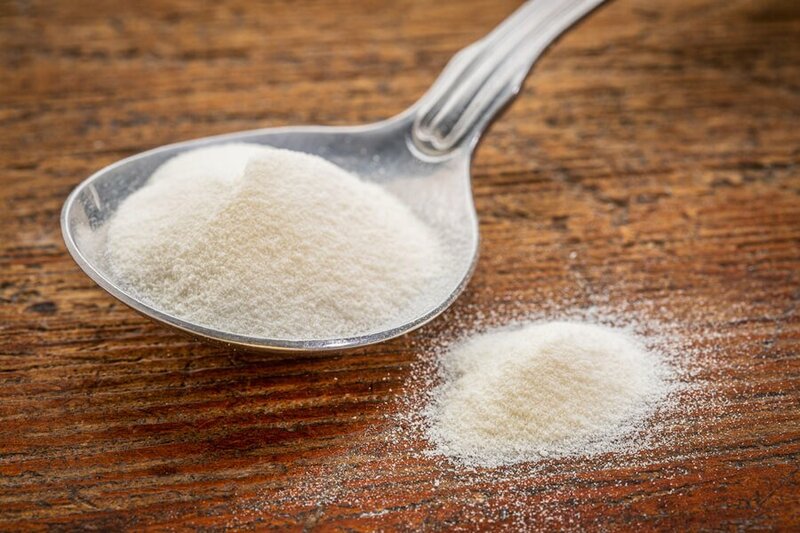 A 2014 double-blind placebo-controlled study on women ages 35-55 found that hydrolyzed collagen peptides had a significant impact on skin elasticity over an 8 week period. How Do I Take This Stuff? The best and easiest way is to mix the powder with your beverage of choice. Most people just add it to their morning coffee routine, since it contributes no odor or flavor to the coffee. I usually dissolve it in a glass of water – it’s that unnoticeable. It tastes like nothing. My preferred hydrolyzed collagen supplements is made by Sports Research, and available on Amazon.com at the lowest price, $24.95 for about 6 weeks of daily servings. That picture of my actual container at home. The animals used in this product are grass-fed and pasture raised. This is really important – you want to be getting nutrition from well-fed animals who haven’t been suffering indoors, in captivity, their whole lives. Happy cows, chickens, and pigs, are well-fed and healthy cows, chickens, and pigs. This particular product is made only from cow bones, which makes the product ok to use for those who abstain from pork, such as people following Kosher, Halal, or Hindu dietary traditions. Are There Any Side Effects to Hydrolyzed Collagen? When you look up the side effects, collagen supplements come up pretty squeaky clean. Some people may experience some bloating initially, others may have a nasty taste in their mouth. Beyond that, hydrolyzed collagen is safe to use. Others may notice an improvement in osteoporosis or arthritis even when taking this supplement mainly for skin or hair purposes: that’s a pretty desirable side effect, if you ask me. Vegetarians can get some of the same benefits from marine collagen powder, which is not made from land animals, but instead, from fish, shrimp, and krill. People with a seafood allergy should refrain from any collagen supplements with seafood origins. Read your labels! The supplement that I recommend above is sourced from 100% beef bones, and safe for those with seafood allergies. OK, so both Bone Broth and Hydrolyzed Collagen improve skin elasticity…but what about my HAIR? Improved skin tone and elasticity means our scalps, which are made of skin and collagen, do a better job of holding onto our hair at the follicle. This means less hair loss. The individual diameter of the hair gets thicker on collagen rich diets and supplements. Thicker individual hairs means a thicker overall head of hair. Win-win. Drink Bone Broth. Make it yourself at home in the crockpot, or buy it. Take a quality hydrolyzed collagen supplement every day. You always hear experts discussing how health starts from the inside out. For those of us dealing with the frustrations of hair loss, which is very much visible and on display to the world, it can be a little maddening to have the patience for dietary solutions. I can only speak to what I’ve observed in myself and others, but I think many people prefer external treatment methods (oils and potions and serums, oh my! ), on the assumption that they work faster than supplements or dietary solutions. However, I know that I didn’t start seeing real improvement until after I started supplementing and including daily collagen. Not all hair loss patterns are the same, and the causes couldn’t be more varied, especially for us women. Regardless, vitamin and mineral and element supplements have a definite, positive role in dealing with hair loss, even if the answer is by no means one-size-fits-all. I love bone broth and now even more 🙂 Of course, I am not the cook in the family but I will pass this information along to my husband! Thank you for this very insightful blog. Thanks for the great feedback, Cedes! Hope you have lots of delicious bone broth meals in your future, courtesy of your home chef! You have some really great tips here and have obviously done your research. I know for a fact from my knowledge of bodybuilding and muscle science that most health issues can be dealt with if the body gets proper nutrition. Though your targeted audience being women, I’m curious as to if these will help men with their hair loss. Or do you perhaps have suggestions for the male readers? Thanks for the comment! These tips do apply to men, because we all have skin and lose skin elasticity over time! And we’re all mostly on the same crappy diet, and this helps remedy the problem. Although for men, more often the cause of hair loss is hormonal and related to testosterone, so for them, DHT inhibitors are a huge part of the solution. I’ve been hearing a LOT about bone broth these days and reading this has just convinced me that I need to make some more often. I’ve probably only made it myself a couple of times and then I forget how nutritionally valuable it is. 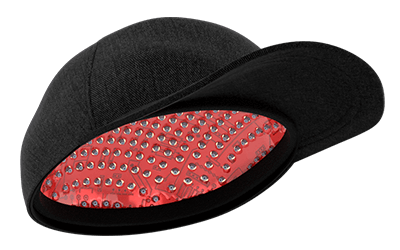 And for someone who has definite hair loss…well, no excuse, lol. Thanks for the reminder. I look forward to hearing more about your thoughts and remedies! I’m so glad you’re jumping on board the bone broth train! You won’t regret it, it’s probably the best single way to make up for all the garbage in our diets and give our bodies what they really need. When our bodies have what they need, they grow the hair that WE need! I am a vegan so I would like to ask if you have any other posts or recommendation regarding vegetables that are known to help keeping the hair strong…? I heard once that Avocado is great for the hair, do you know anything about that? WOW! This was extremely informative. It not only peaked my interest in improving my skin and hair health but my digestive health as well. Thank you for the suggestions that I would have never thought of. I especially love that you can get them in Pods now. What a Great way to increase your fluid intake. Genius! Glad you enjoyed the post, it’s amazing how easy it can be to make our skin and hair look and feel better. All it takes is reaching back to the old-school cooking methods, or supplements that fill in the blanks in our nutrition! I really enjoyed your article. I found some very useful information as a health coach who is always on the prowl for healthy products. I did not know that bone broth could help with hair loss, that is fantastic info. I specialize in Leaky Gut, so I knew about the healing of the gut factor. I encourage your readers to drink bone broth daily for the numerous health benefits. Your tip on the keurig cups was fantastic. Who knew? Hi Linda, thanks for the great input and perspective! Glad to have the info validated from an expert! And yeah the keurig cups option is a total game changer. I know so many people who don’t cook or hate cooking, and this leaves them with no excuses! I would be interested in studies on leaky gut in countries like, oh, VIETNAM, where they’re basically eating bone broth every day. I was there recently on vacation and man, do those women have gorgeous, long and strong hair. I’m sure it’s no coincidence. I LOVE this concept of bone broth. I am absolutely going to check it out! I am always lookin for ways to enhance my diet. This seems like a great concept for added health benefits and nutrients minus heavy heavy calories! Awesome, glad you were inspired! It’s such a good way to get nutrients that our diets are lacking. As long as the animals are pasture raised without hormones or antibiotics, bone broth made from any land animal is equally healthy. Really good post! My girlfriend and I were talking the other day about how we need to start taking bone broth again (I have some gut health problems and she has hashimotos). I didn’t realise that it can also help with hair loss prevention too which she experiences a lot due to her condition. I’ll certainly be showing her your site – thank you! With the broth and the hydrolyzed collagen is there a recommended amount for how much you should take daily? Or is it a little bit like the question “how long is a piece of string” and depends on the individual? With bone broth, devotees drink about a quart a day. With the hydrolyzed collagen, each jug will have a different scoop and recommended daily dose. YOu’ll definitely notice a difference over time, this stuff is exactly what we’re missing in the Standard American Diet (ie: the aptly named SAD). That’s a great post, It is the time to consume collagen from a good source like bone broth, I like to cook it myself and have it natural, I’m somewhat against packed stuff even when I don’t have time to cook. Thanks for the comment! I agree, with Bone Broth it’s ideal to make it yourself at home. But a least there are ok alternatives for those who can’t or who hate cooking! I totally agree with the fact that our nutrition is poor and we just can’t get from food all the nutrients our body needs. We need supplements. 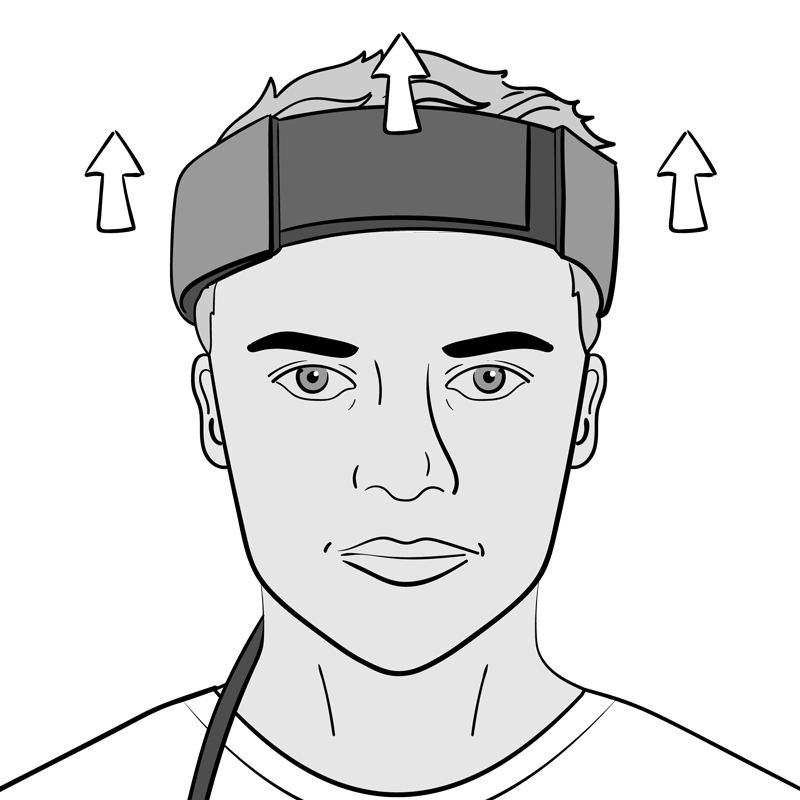 Hair loss is a problem that I tried to solve in the last couple of years, but nothing seems to work. I will definitely try hydrolyzed collagen. Thanks for a well-written article, packed with good info that I am sure will help a lot of people. Thanks for the comment, and best of luck with the collagen supplements! Come back and let us know how they work for you. Thanks so much for bringing a detailed article to the table regarding this topic! My Uncle is a huge proponent of bone broth, he’s a Chiropractor and huge health nut, and reading this has given me more motivation to make my own. I have heard the Collagen is helpful for hair loss but not the bone broth. It make sense though. I’m glad you enjoyed the post, thanks so much for the kind words. Definitely give the bone broth a shot – it’s total rocket fuel! Thanks for sharing all this excellent information and yummy recipes. I can’t wait to see your next article. Thank you for this great, I see that we have to boil the bones until they’re very soft, but I heard that high temperature would damage vitamins and minerals in food, Is that right in this case? That’s one reason why using a slow cooker is such a good idea! It’s low heat but lots of time, so all the good vitamins and collagen do come out of the bones eventually. There are many schools of thought about temperature and food, however, so I will leave the final verdict to those professionals. I got my collagen peptides and took my first scoop this morning! How many times a day do you take it? The knowledge and research that is in this post are brilliant! You really do know your stuff, what i need to know though is will it affect anybody with no hair or skin problems in a different way than someone with those problems? The effects on someone without hair thinning will just be additional strength and fortification of your connective tissues and skin and nails and bones – not a bad thing! 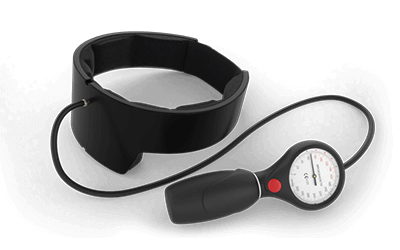 You might feel or measure the effects differently – more energy, for example. People jump on the bone broth bandwagon for many reasons and hair/skin health is merely one of them. Thanks for the great feedback! I realize you are targeting women with this article, but these are great tips for anyone! I am very active in the health and fitness arena, and can attest to the importance of nutrition when it comes to healing and replenishing the body. I never really considered the correlation between nutrition and hair loss. Excellent information. Thank you for the thoughtful comment. Luckily much of the good info in this blog applies to anyone with a body, so I’m glad I could open your eyes to the link between nutrition and hair loss. Drink your bone broth!! This is fascinating Penelope! I have been wanting to start using bone broth anyway and this gives me a great reminder and more information about how healthy it is. I have a bone broth cookbook that I haven’t started using yet. I have leaky guy I suspect and really bad inflammation that causes bursits which has been chronic for 5 years. I have seen that bone broth should help these. I don’t have hair loss myself (I have ridiculously thick hair actually which is curly and dry if I don’t drench it in conditioners) I have to tie it down to control it! I am sure the bone broth couldn’t hurt though and who knows, maybe it could make it softer and less dry! Thanks for the great comment. And man, bursitis is no joke, that’s tough to deal with for FIVE years!!!?! Definitely give this a shot because you could really use the overall reduction in inflammation. What an informative post about the benefits of bone broth. I have never tried making bone broth but your instructions make it sound quite simple. The one major issue I have with making bone broth is I have a vegetarian daughter. My son would eat a soup made with a bone broth base but she wouldn’t. What would you recommend for her in place of bone broth for hair loss? This is such an info-rich post — thank you! 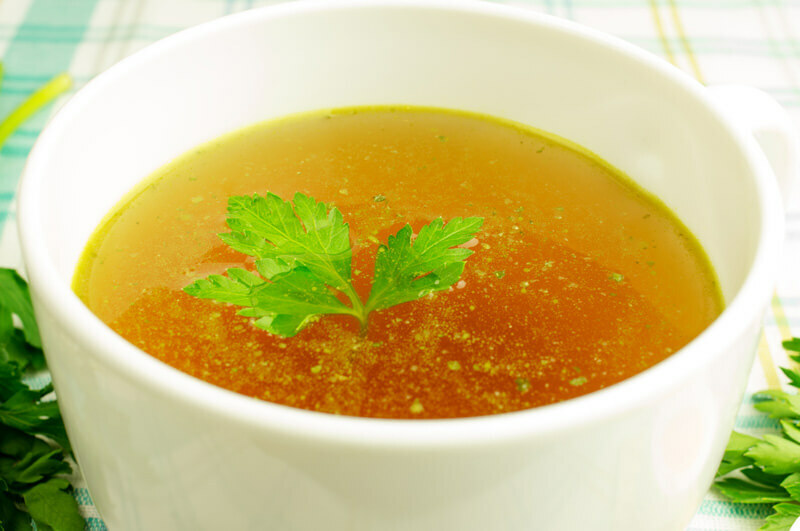 Bone broth sounds like a real miracle food, and the solution to several problems I deal with. I used to make it all the time, but then life got busy with work, and I stopped cooking so much. It really sounds like I need to make it a priority to get back to it. Thanks for the encouragement! Great article! I keep chicken broth and beef broth in the pantry, but I had never heard of bone broth! The benefits of this type of broth seems amazing! Can you tell me more about the taste of bone broth? Can you use it in recipes just as you use chicken or beef broth or does it have more of a distinct taste to the point that you would not want to do this? It would be nice to get these awesome benefits all within a prepared meal! Wow. Bone broth! Who would have thought this delicious tasting soup base could affect the hair growth process. I definitely understand how things like our skin, nails and hair are affected by what we put into our bodies. Great article. Thanks, I’m glad you enjoyed the read! It’s incredible how many things affect the health of skin, hair, and nails. Bone broth is a keeper. I have heard that biotin will help your hair grow quicker. I remember using it years ago to help my beard grow. Do you happen to know how much quicker biotin makes your hair grow though? I have heard that hair grows at .44 mm per day. Do you know if biotin makes that double each day? Thanks for teaching me about the bone broth diet though. I didn’t have any idea about it before I read this. I actually made some bone broth soup and at first, I thought it was going to be horrible. It was actually pretty good, though. I used garlic cloves, thyme, bay leaves, and a little apple cider vinegar. I did take your advice and get bones from grass-fed animals too. I am guessing you wanting grass-fed animals because you don’t want the hormones in the food. Am I correct? I love to cook and make my own stocks and use a lot of broths but I have to say I have never heard of and had the opportunity to try bone broth. After learning about leaky gut and the benefits of bone broth from your article I am very interested in trying it. I will make some and also tell my mom about it. She would love to hear about this. Thanks for this article, it is much appreciated. Thanks for reading! Bone broth is delicious stuff and incorporating it as a regular part of our diet is fabulous for our suffering hair. For those of us who can’t make that happen, thank heavens for the hydrolized collagen! Excellent article! I spent $43 for 4 containers of super collagen which will last 2 months, can’t afford to keep buying it so I’m opting for making my own bone broth from now on, I actually drink 3qts of water everyday, so my question is how many bones, how much water to create the recommended 13,200mg of collagen we should be getting each day? Also can Smoked Turkey legs Be used instead of chicken? I just wanted to mention that anything made from cow bones is not okay for those practicing Hindu (Sacred Cow!) Kosher and Halal avoid pork. This is a great question, and a complex issue. A surprising number of women who go vegan find they lose hair initially, partly because their weight loss is so rapid. That, and the body is adjusting to getting nutrients from different sources. My overall vegan diet hair loss advice is to minimize soy products (because soy can have a negative impact on our thyroid gland, which then can cause hair loss), and take an iodine supplement to SUPPORT the thyroid. B vitamin and specific biotin supplements are even more important for vegans since it’s hard to get these substances without eating meat. You’re right about avocados. Bananas, strawberries, carrots and wheat germ are other plant sources of biotin. For collagen substitutes, is the way to go. Silica is actually one of the building blocks of collagen. And, this might be the most important piece of advice: get enough protein. Eat those beans and nuts! Thanks for the great feedback, and I would encourage you to let that stock become bone broth! We all fall into the drive-thru trap from time to time. I’m honestly grateful we have that choice, although I will say that these days there are much better “slow fast” options (Panera, Chipotle, Qdoba, etc) than way back when. But cooking is always best, and getting all the goodness from these bones must be our modern day mission, especially when we’re all losing our precious hair. Thanks for the great question, Megan! The alternative for vegetarians for a collagen supplement would be Silica collagen. I would encourage her to eat lots of delicious soup, but it would need to be made with veggie stock and wouldn’t have the same benefit. She should supplement if she has any concerns about hair loss, though!